Win one of these and punch your ticket to The 2019 CrossFit Games. Here are the latest four CrossFit Sanctioned events to be released. “For us, fitness is not a lonely pursuit. It is an inherently social and community-based endeavor,” said Ollie Mansbridge, owner of CrossFit Bath and director of the CrossFit Strength in Depth competition. 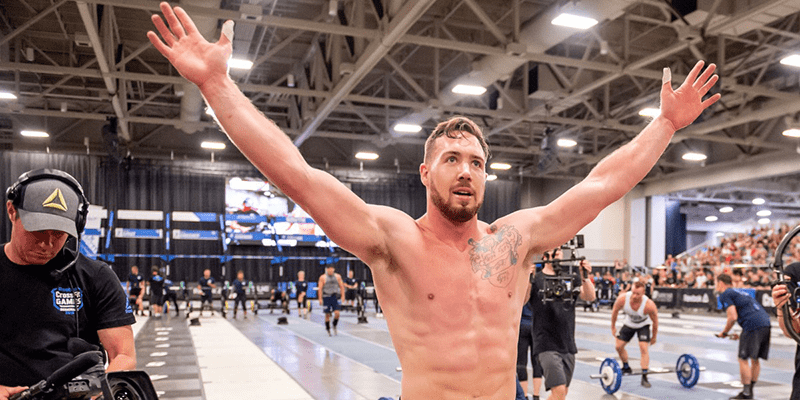 Strength in Depth will take place in London in February 2019, qualifying the top male, female, and team competitors to the 2019 CrossFit Games. “We believe that the strength of this community lies in its depth: the diverse nature of the people within your club, affiliate or gym,” said Mansbridge. CrossFit affiliate owner and coach Carlo Strati first created the Italian Showdown “to keep our community strong and united.” As the owner of CrossFit Varese in Italy, Strati said, “it’s a privilege and honor that inspires us to do our best to make the CrossFit Italian Showdown the competition for the whole community.” The CrossFit Italian Showdown will begin with a live qualification event on April 26, 2019, in Milan, narrowing the field through three days of competition to qualify one male and one female competitor to the CrossFit Games. There is no team competition at the Italian Showdown. Originating in 2010 as a local competition for the Netherlands, Belgium, and Luxembourg, the Lowlands Throwdown has grown into the premier, annual fitness competition in the Netherlands, now attracting athletes from all over Europe. As co-founder Jos Hermans says, “Our aim is to make sure that the CrossFit community, as well as the individual athletes, have an amazing experience and celebrate their victories with those around them. The competition is open to everyone and consists of a unique one-day online qualifier and a three-day final event in the Netherlands.” The final live event will take place in May 2019 and qualify its top male, female and team competitors to the 2019 CrossFit Games. The SouthFit CrossFit Challenge developed within the Latin American affiliate community in 2013 as a result of local support for the Latin American Regional. In that spirit of community, SouthFit provides categories of competition for all levels of athletes. Martin Casas, owner of CrossFit Tuluka and organizer of the SouthFit Challenge, says the event has been “very inclusive on the categories from the beginning because we wanted to give our community an opportunity to compete.” The SouthFit CrossFit Challenge will take place in Buenos Aires on November 30 – December 2, 2019 and is the first sanctioned event announced for the 2020 CrossFit Games season. CrossFit will continue to announce additional sanctioned events in the coming weeks. All changes to the CrossFit Games season will be codified and published in the official CrossFit Games rule book prior to the 2019 Open.